If I ask people whether they enjoy their work life and the response is negative, there is an odds on chance that they will cite lack of communication as one of the key reasons. This anecdotal evidence is supported by the findings from bpi’s Employee Feedback Surveys. Among the 60 odd statements that make up the survey, many relate directly or indirectly to communication. Three of them are reproduced below. Respondents are asked to rate their degree of agreement with each statement on a scale of 1 – 10. How important is communication to an organisations well-being? In the Wagon Wheel Way™ communication is the grease on the axle that keeps the wheel rolling. No grease and the wheel seizes. Or if you prefer a biological analogy, communication is the Central Nervous System of any organisation. If it’s damaged, paralysis is the result. One needs to distinguish between macro and micro communications and between communication that takes the form of a debate and that which is used to inform people of decisions that have been made as a consequence of that debate. 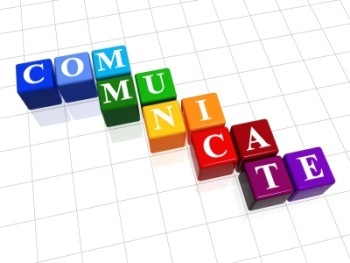 Macro communication tends to be associated with the dissemination of information whilst micro communication mostly involves debate and feedback between individuals. Macro communication is more about “telling” whereas micro communication involves a lot of listening and decision-making. 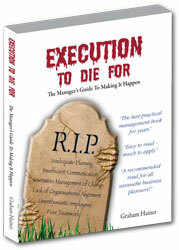 The basis of effective execution is organisational alignment and organisational alignment has three components to it. The more people involved in determining the above the better. Remember the axiom that the more people that plan the battle, the fewer there are to battle the plan. If you are planning a new direction for your organisation or merely needing to do better what you already do, you have to be able to explain what has happened in your business environment that has necessitated this re-think. 90% of people in your Company will change if you give them a good enough reason to do so – but 70% would prefer to maintain the status quo. Organisations need goals that everyone can relate to. I’m not talking about nebulous visions. I’m talking about Specific, Measurable, Achievable, Time-related Results. People need to know how the Company plans to achieve its goal. What are the one, two or three major strategies? Everyone knows their role in getting thereIf you want your staff to feel engaged to the organisation they work for, they need to understand how their work relates to the achievement of the overall goal. If they are involved in determining this so much the better. In addition to organisational alignment, there are four further factors that are crucial to effective execution and communication plays a vital role. 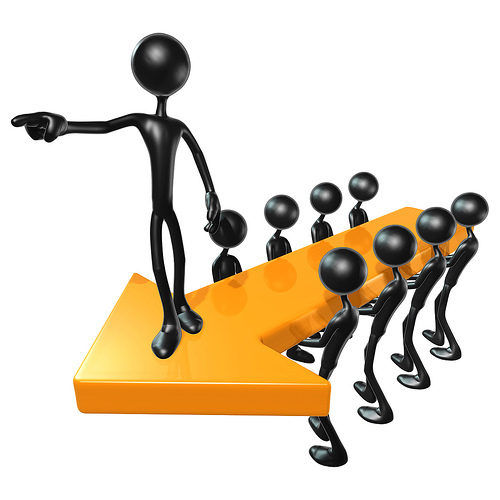 They are the management of change, leadership, teams and teamwork and employee engagement. Here is a selection of the negative comments I hear and which are linked to communication. Today we are spoilt for choice. Web sites, blog sites, intranets, emails, Facebook, Twitter, news bulletins, in-house magazines and newspapers etc. But I’ve deliberately left out the two most effective means of communication. What are the two most effective means of communication? Communication through listening and communication through action. When did you last deliberately set aside time to wander around, engage your staff in conversation and simply listen to what they have to say? When did you last spend a day with one of your service people responding to a customer complaint or sitting with your warehouse manager learning how your IT systems work in practice rather than in theory? A lot of managers would tell you that they don’t have time to do these things. The reality is that they don’t have time because they are too preoccupied dealing with the issues that arise from a failure to do these things in the first instance.